When employees affirmatively challenge a non-compete agreement through a declaratory judgment action, their primary interest is resolving the case with speed. Many times, a new employer will be waiting in the wings, perhaps backing the employee's suit financially, to determine whether a non-compete will be judicially invalidated. But obtaining a quick ruling is far from easy, even in the most employee-friendly states. 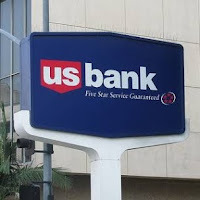 An example of this can be found in a case from Wisconsin's Eastern District, which involved an effort by Miles Henderson to have his non-solicitation/non-disclosure agreement with U.S. Bank invalidated. Henderson was a manager of investment portfolios for U.S. Bank clients and left to start a competing firm. He sued U.S. Bank, contending his restrictive covenants were void under Wisconsin law. Because of Wisconsin's strict blue-pencil rule, any invalid part of a non-compete can doom otherwise enforceable provisions. This, no doubt, fueled Henderson's interest in seeking immediate relief. He moved right away for judgment on the pleadings, contending the entire agreement was unenforceable without consideration for any facts or circumstances unique to his case. The court, however, denied the motion. In particular, the court found that the non-disclosure clause, which protected U.S. Bank's confidential information, was not invalid as a matter of law despite the fact it had no time limit. Under Wisconsin law, a non-disclosure clause is treated as a restrictive covenant, which subjects it in most cases to the requirement that it have a reasonable time limit. In most other states, non-disclosure clauses do not need to have temporal or geographic restrictions. The court recognized that some Wisconsin decisions seemed to depart from the general rule and uphold non-disclosure covenants that have no time limit. At least during the initial pleadings stage, the court could not find the agreement was invalid as a matter of law. The court also rejected Henderson's argument that the customer non-solicitation covenant was invalid as a matter of law. The covenant was fairly narrow, basically limiting Henderson's ability to work with clients or prospects he developed while at U.S. Bank or about whom he had confidential information. In other words, the non-solicitation restriction was not a blanket prohibition on working with any U.S. Bank customer - a provision which could extend to many thousands of potential clients Henderson did not even cultivate. The court noted that the non-solicitation was drafted reasonably, and the lack of a geographic term did not render it unenforceable.